The Adelaide Fireplace Mantel boasts a classic look inspired by the American Colonial style. A definitive centerpiece to any home, this Blackwash with Antique White Surround Real Flame Fireplace includes mantel, firebox, hand-painted cast-concrete logs, and a screen kit. 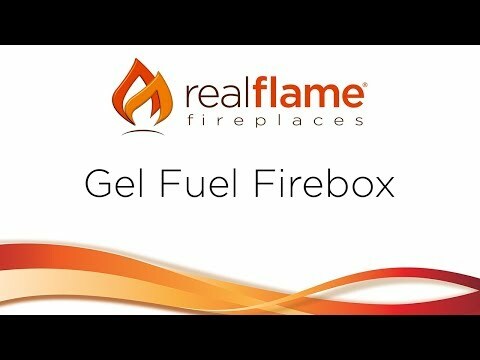 Fireplace uses clean burning 13 ounce cans of Real Flame Gel Fuel emitting up to 9,000 BTUs of heat per hour. Each can burns for up to 3 hours!